How Much Do Underground Shelters Cost? Underground shelters can be used for a wide range of things, from storm protection to cold storage. Most people do not actually know how much these underground shelters cost. There are a couple different factors and elements which contribute to the overall cost to build underground shelters. Knowing these elements can help you determine what type of shelter is going to suit your needs, such as what you can have inside your particular shelter, and finally, if it suits your budget. Underground shelters are highly sought after and may be a wonderful addition to your home. How Much Does It Cost To Build Underground Shelters? 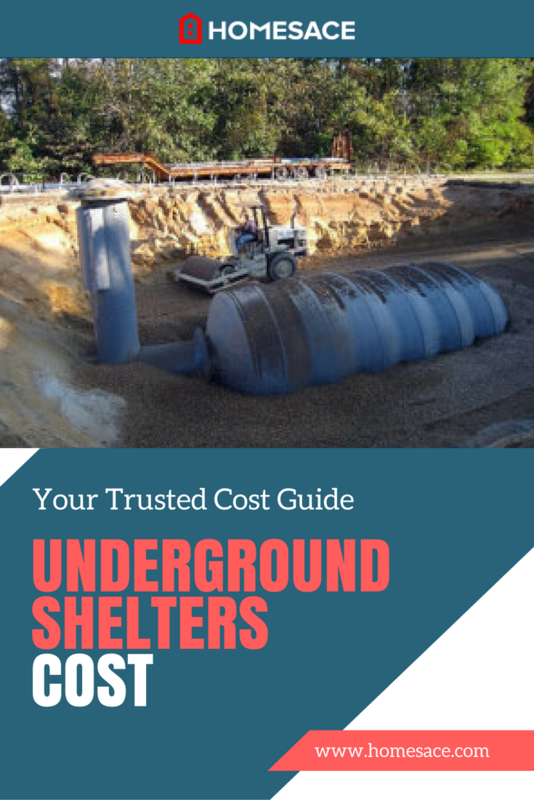 Underground shelters generally fall into a few different categories, which can either positively or adversely affect your overall costs. These categories are all specific to the shelter and can make a huge difference overall. Building underground shelters is not a simple DIY task. This job should be left to the professionals. Contractors with years of experience and expertise should be your first choice when it comes to your family's safety. We recommend you compare at least 3 quotes from professional contractors. There are two main types of shelter, those that are made off of a blueprint or that are made out of materials that were not originally packaged together to make a shelter and those that are prefabricated and ready to plant underground. This is where a large deal of the cost comes into play. If you are looking to stay in the $3,800 or low-end cost bracket, you are likely going to want to hire a company that can build you a small shelter without having to use a prefabricated shelter. There are some benefits to this type, you can specify size, location, and shape. You'll have a part in the build as well, which is exciting. For those that are willing to pay a bit more, you can use a prefabricated shelter that is going to be a bit larger than one that you could buy for the low price. These shelters are going to cost around $5,400 and generally come pre-assembled and ready to plant where you want them. In most cases, companies will have a set cost for the shelter, and a delivery and installation cost that is included in the $5,400. For this price you are still not going to have a huge underground shelter with all the finishes, but you are certainly getting closer. The types of materials used, such as concrete or steel will affect the final cost to build underground shelters. The last category of shelters are those that are custom built. This does not mean that you have to have a specific blue print that takes weeks to complete. You can purchase a shell or prefabricated shelter. Heavily customizing the interior will breach the $10,000 price range. This is going to be a much larger shelter with more finishings like shelving and storage, as well as beds, furniture, a generator, and other electronics. If you are looking for a great company to help you with your underground shelter, simply enter your zip code in the space provided. It's 100% FREE, and there's no obligation, simply enter your zip code in the space provided.